Over the last few years, and certainly through last year’s campaign seasons, the need to reform our criminal justice system has been discussed openly. 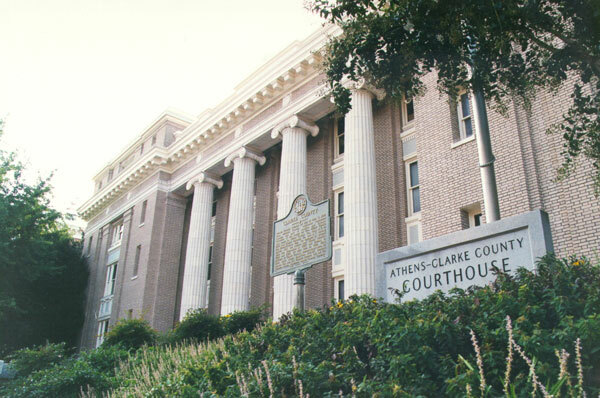 An obvious majority of residents in Clarke County support reforms such as marijuana decriminalization, the creation of a police oversight commission, moving away from cash bail and other systematic policies that prey upon black Athenians and low-wealth residents. As it did in 2011 with the $77 million dollar jail expansion, SPLOST has found itself in the middle of discussions on criminal justice with the proposed creation of a new judicial center. I voted this month to place the judicial center on the SPLOST list but I believe that, before the voters of ACC go to the polls in November to decide the fate of SPLOST 2020, it is the responsibility for the Athens-Clarke County Mayor & Commission to put in place the following reforms: eliminating cash bail for non-violent local ordinance violations, creating a local parallel ordinance for marijuana possession under an ounce, and the creation of a police oversight commission that consists of ACC residents. I am asking for the Mayor & Commission to have a timeline for pre-November passage of these reforms in place by the time that the Commission finalizes the SPLOST 2020 list. Members of the SPLOST Citizen Advisory Committee have said many times that they understand the structural and operational need for a new judicial center but many members said they cannot support it if this center contributes to our criminal justice system continuing to be “unjust and unfair to many in our community.” While, technically, SPLOST and the Commission’s criminal justice policy decisions are separate decisions, it is impossible to not see the overlap and connection. I am sensitive to the need to be putting in place the criminal justice reforms of our new justice system while simultaneously putting in place the bricks that will make up our new judicial center. If the County was to fund the creation of a water treatment facility we would certainly ensure that that facility properly served all residents fairly and without the facility creating harm to specific demographics of our community. Many justice reforms are already in place such as our amazing accountability courts, but I believe that our County Government, and community as a whole, recognizes there is the need for so much more. If we have identified the need for these reforms then we must move forward and no longer wait. As Dr. King said, “justice too long delayed is justice denied.” By furthering these reforms we will not only reduce the negative harm to black Athenians and other historically oppressed communities, but these reforms will reduce the work load of our courts, jail, and law enforcement agencies; freeing them to focus on the more serious cases that do require their attention and be more effective. Even these reforms listed are not even close to enough, but they are a start. It is not enough for the Mayor & Commission to only say, “Vote for SPLOST and trust us that we will do these reforms.” Many political careers have been built upon broken promises. We must prove ourselves to this community, especially those most negatively affected, with our actions.